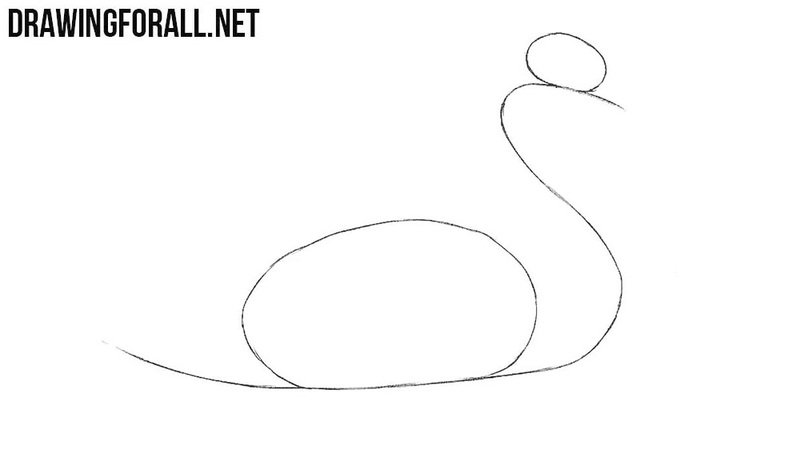 Draw two ovals – head and torso. 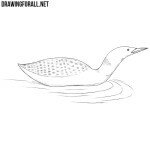 Next, using a long curved line sketch out the beak, which passes into the neck, connecting the head and torso and then passes into the tail. 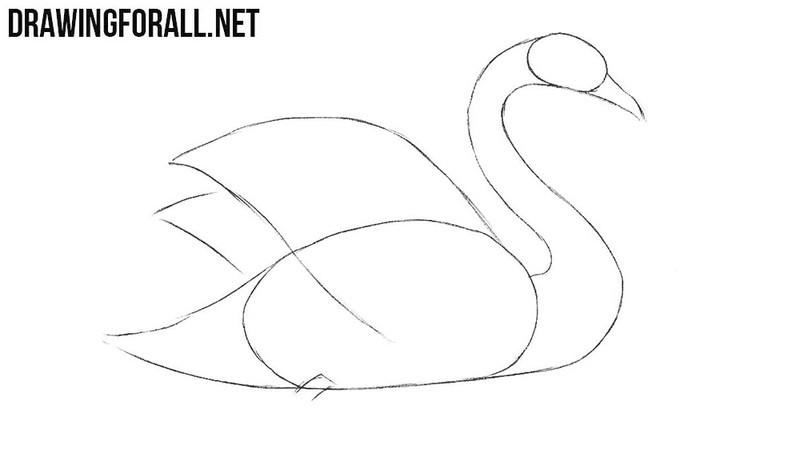 Now draw the sharp beak and neck that slightly thickens closer to the torso. On the torso sketch out the wings and tail. In the lower part draw a visible part of the leg. 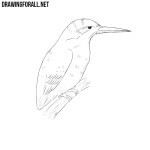 Sketch out the eye and remaining part of the beak. 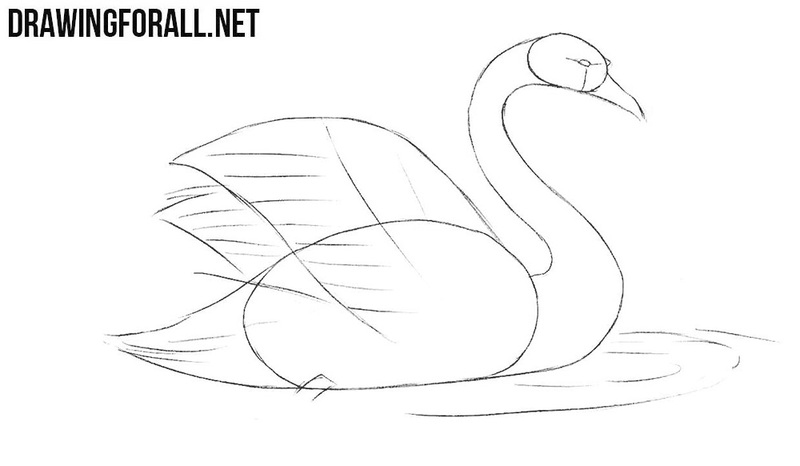 Next, draw outlines of feathers on the wings and tail of our swan. 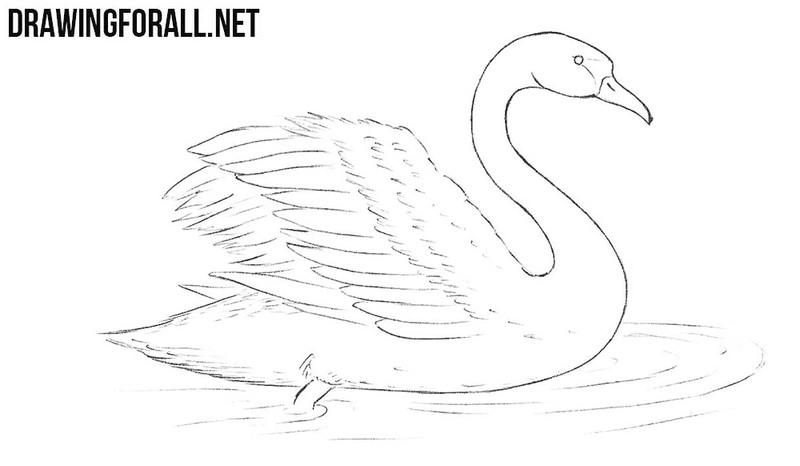 Don’t forget to draw circles on the water under the swan. Now let’s move to the final detailing of the drawing. 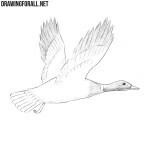 Using clear and dark lines carefully draw out the outlines of the head, beak and elegant neck. 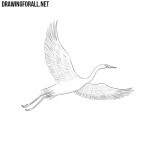 Now go to the wings and using light but clear lines draw out the feathers. Note that on one side of the wings the feathers are larger than on the other. 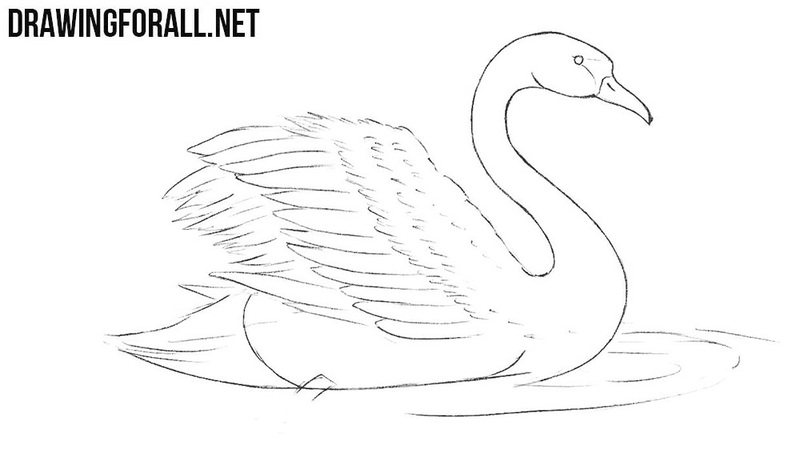 In this step we finish drawing the details on the swan’s body. 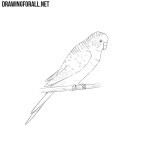 Carefully draw feathers on the tail and body. Next, draw out the leg, erase all the guidelines and carefully draw out the circles on the water. 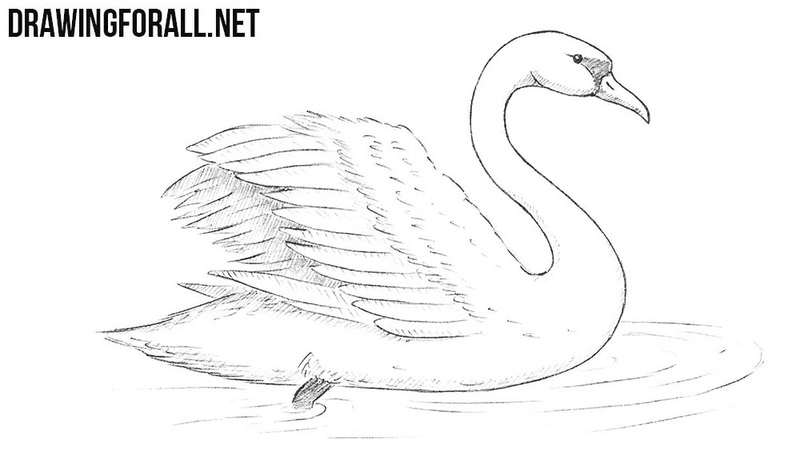 Now let’s make our swan more voluminous. Darken the eyes, the area around the eyes and the leg. Next, using hatching, add shadows as shown in our example (that is, in areas where the light does not fall). 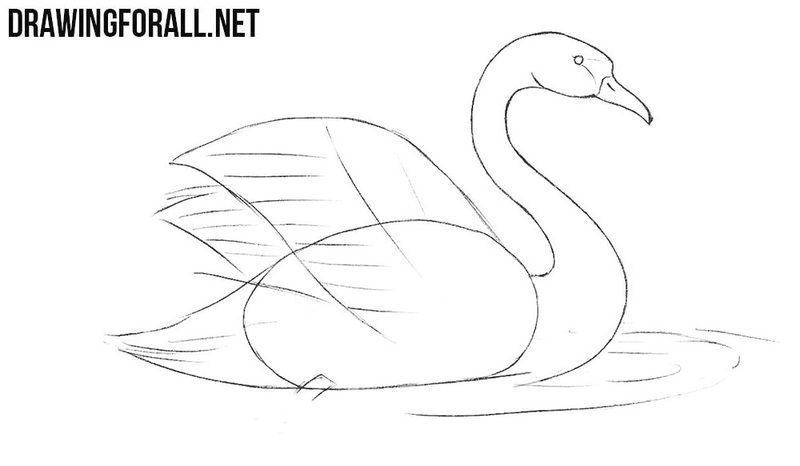 This lesson was quite complicated, but now we know how to draw a swan. 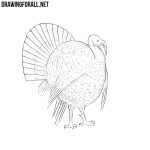 Do you want to learn how to draw other animals? If so, be sure to visit the category “Animals” on our website. And if you did not find the lesson you were looking for, then write us about it in the comments to this article.